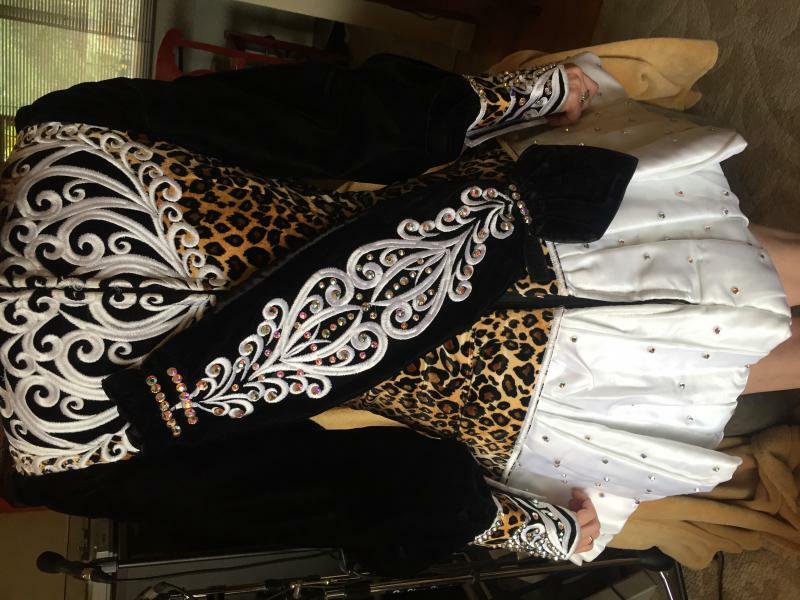 dance.net - Doire designs leopard print dress 16+ dancer $945 obo (10245516) - Read article: Ballet, Jazz, Modern, Hip Hop, Tap, Irish, Disco, Twirling, Cheer: Photos, Chat, Games, Jobs, Events! 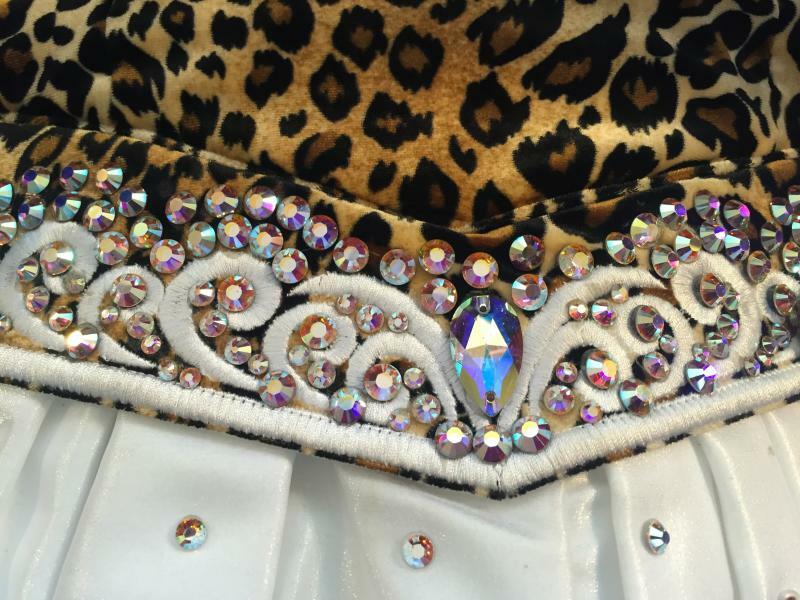 Beautiful leopard print Shauna Shiels dress asking $945 obo. 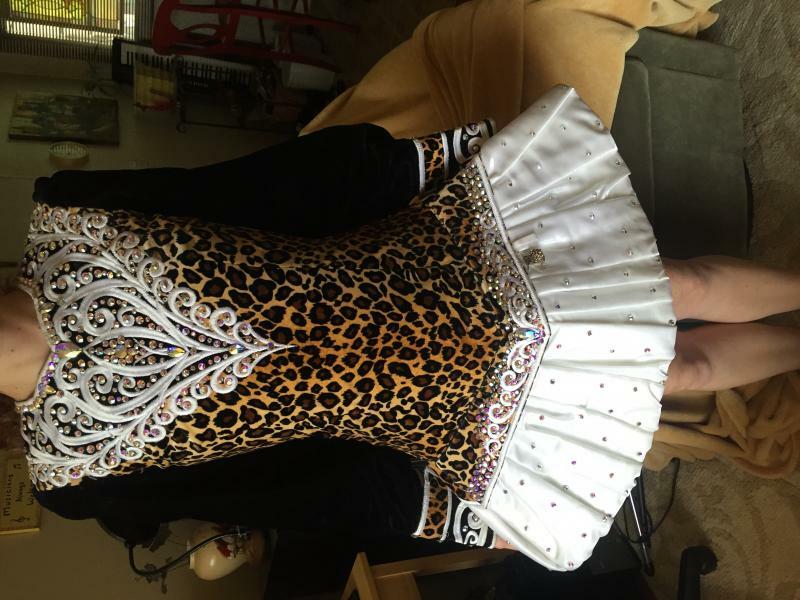 Dress is currently worn by a slim 5'7" senior ladies open champion dancer, but would fit 16+. Probably even a taller 14 year old dancer. Dress has been keep in great condition, there are no noticeable stains on the white skirt. There is minimal dis coloring around the neckline and cuffs. Both are pictured. Little to no discoloring on the underskirt, and the dress is not missing a single rinestone! 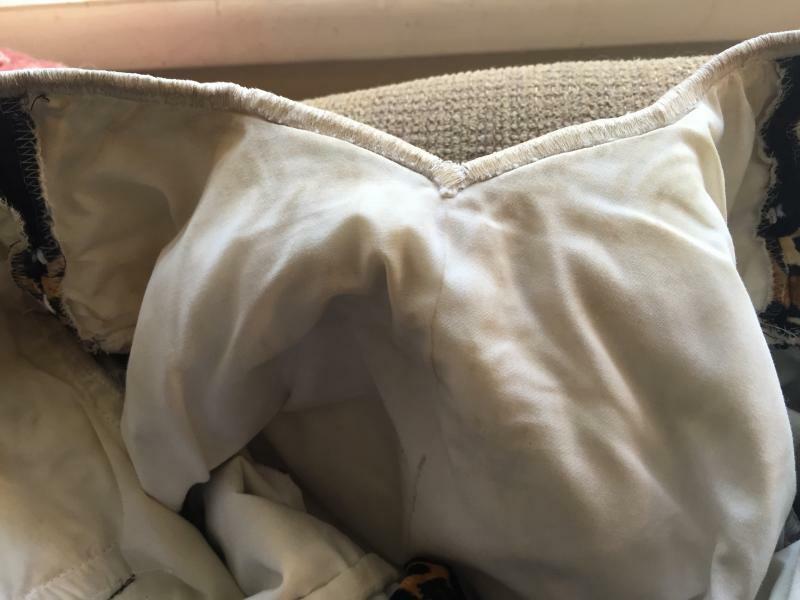 Dress has always been work with underarm shields, but as it is a few years old now, still has very minimal body odor. I'm not sure exactly when the dress was made, Jade Brdigewater placed third in the dress a few years back, and I received it after that. The dress has done me very well over the last few years, and still receives many compliments on a regular basis. It has a timeless classic look, while still being unique. 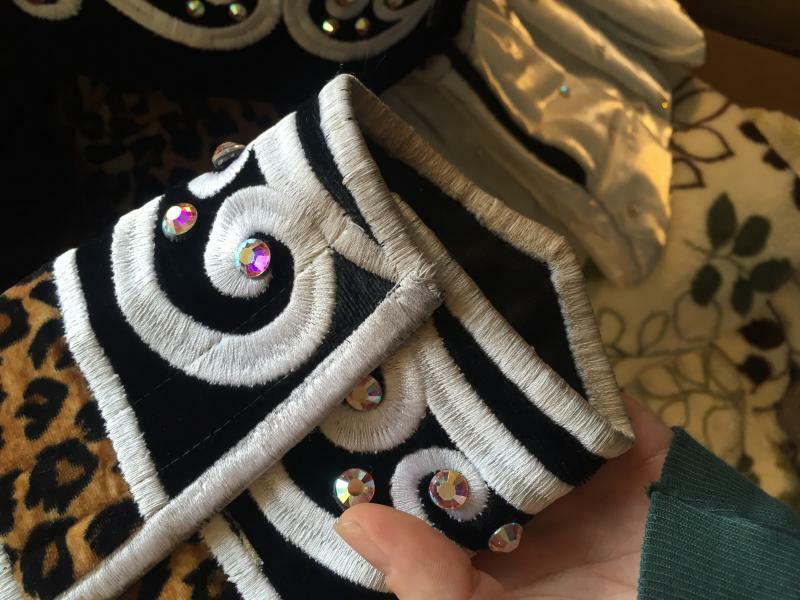 There is let out room both in length and waist/bust. More photos! Posting from mobile, and it won't let me post a whole bunch. So email for more!